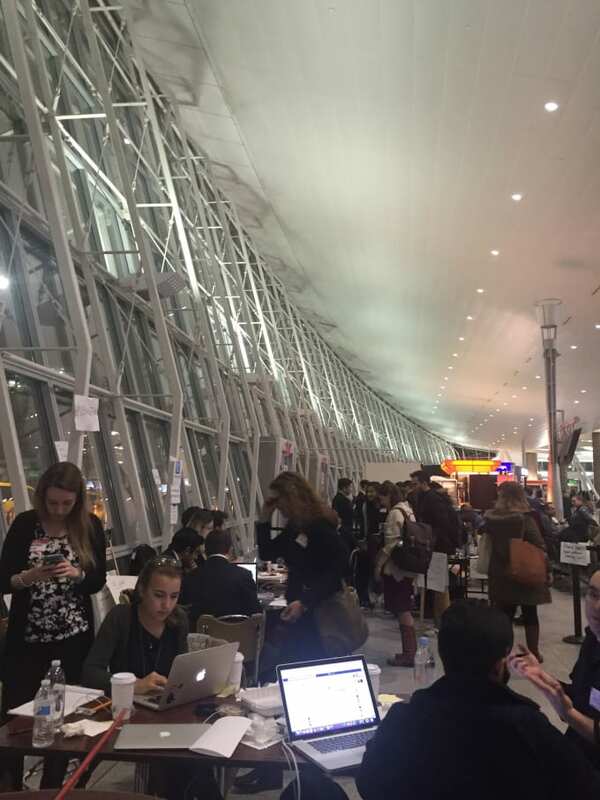 The first morning after President Donald Trump&apos;s Muslim ban was announced, lawyers rushed to JFK Airport and built a makeshift office to help detainees affected by the EO. The mostly pro-bono group of immigration lawyers adopted a name, NoBanJFK, a Twitter account, and a 24-hour schedule. I responded to NoBanJFK&apos;s call for Farsi, Arabic, and Urdu translators via Twitter for a heartfelt and personal reason: My parents are Iranian immigrants who moved to Boston to escape the Iranian revolution and attend university. 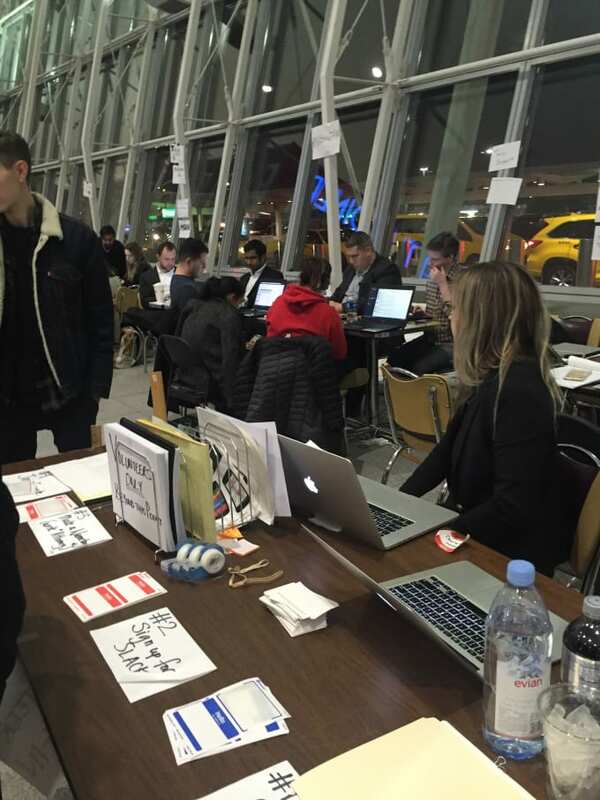 I arrived at JFK Terminal 4 at 9:45 p.m. on Day 7, and there were about 40 other people waiting to check in, as well as a few people waiting to debrief us newbie volunteers. 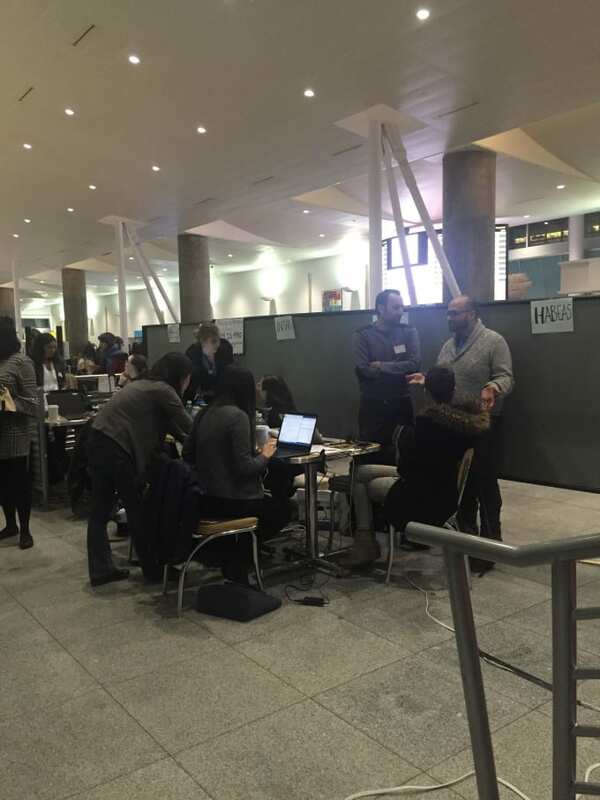 Volunteers ranged in age from early twenties to late forties, and the crowd consisted of immigration lawyers, International Refugee Assistance Project (IRAP) members, translators, social media volunteers, and tech support. 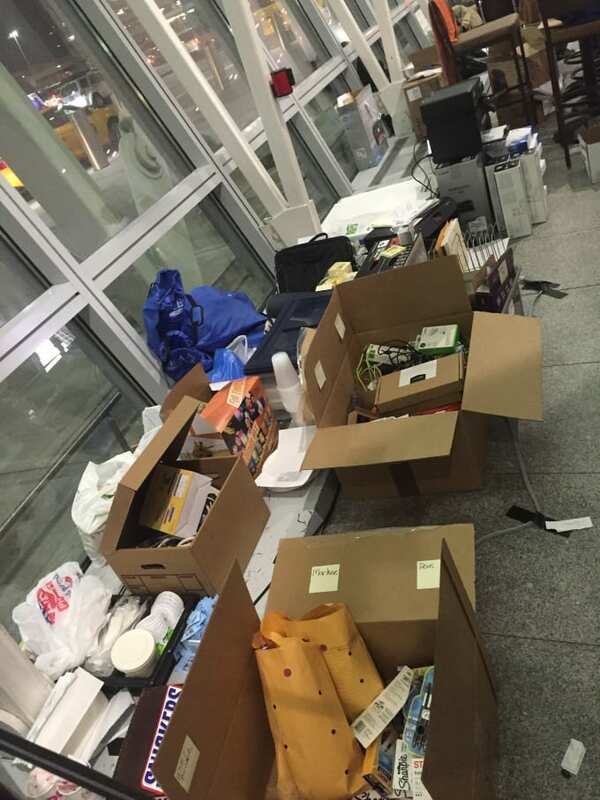 Some had been at JFK for days, while others were just starting their first overnight shifts. 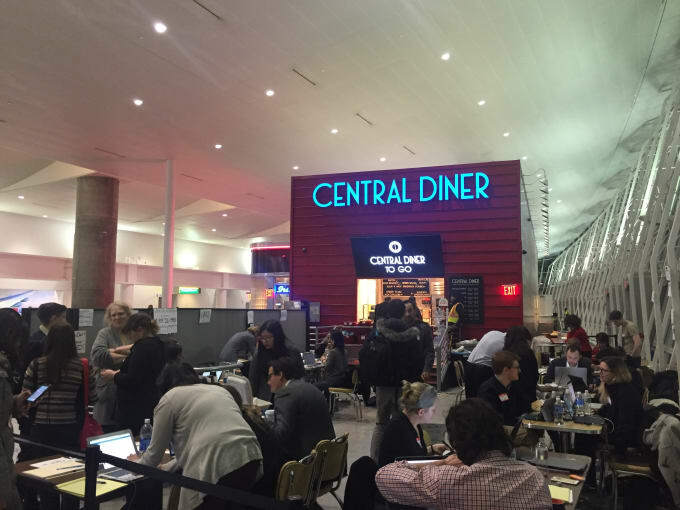 Central Diner has become a temporary home for these freedom fighters, and there&apos;s even an open tab set up free of charge for volunteers. Once I checked in and gave my credentials, I was sent a Slack invitation—a chat software for teams—to communicate with anyone across the airport. Slack is the same system I use at work, and I was amazed to see that the volunteers&apos; infrastructure reflected that of a business: a well-oiled justice machine. The social media team was a gamut of volunteers—attorneys, cab drivers, marketing professionals—working to get the word out that attorneys were available for help. There are hundreds of volunteers that show up every day, some traveling hours to get there after a full day of work. There were boxes upon boxes of donated office supplies sent from Amazon and various law firms. We volunteers were even shown love with Snickers bars, Starbucks gift cards, and pizza from @PizzafulProtest. Immigration lawyers met to discuss obstacles and ways to protect the rights of those detained, communicating with volunteers set up all over the country. On this night, they were awaiting word from Boston to see if Lufthansa flights were cleared to land at Logan International Airport. It was said that Logan has been the most cooperative airport, protective of immigrant rights. 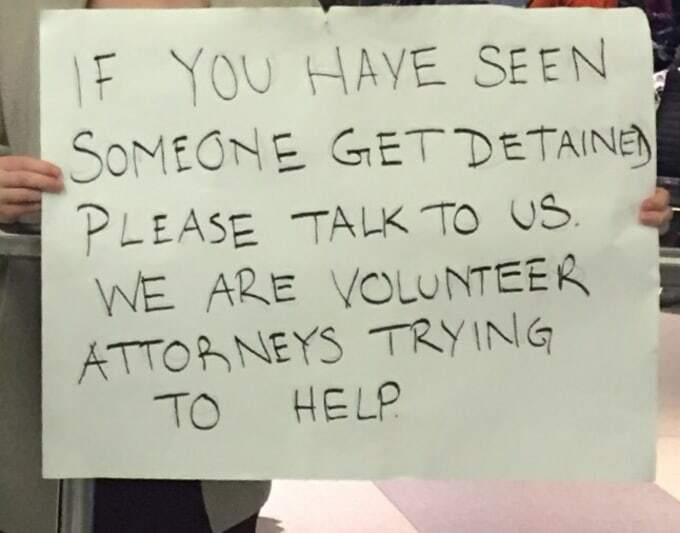 I asked volunteers why they&apos;d miss quality time with spouses and children to be at JFK, and a young woman who is married with a toddler answered, “We as attorneys are upset because this goes against due process. The American law system was built on a set of rules and morals; it is the foundation of our justice system. We are fighting in protection of the law and of human rights.” She added that she has a fear of "goodwill exhaustion"—that human rights advocates will eventually burn out and surrender—which she thinks the Trump administration is banking on. 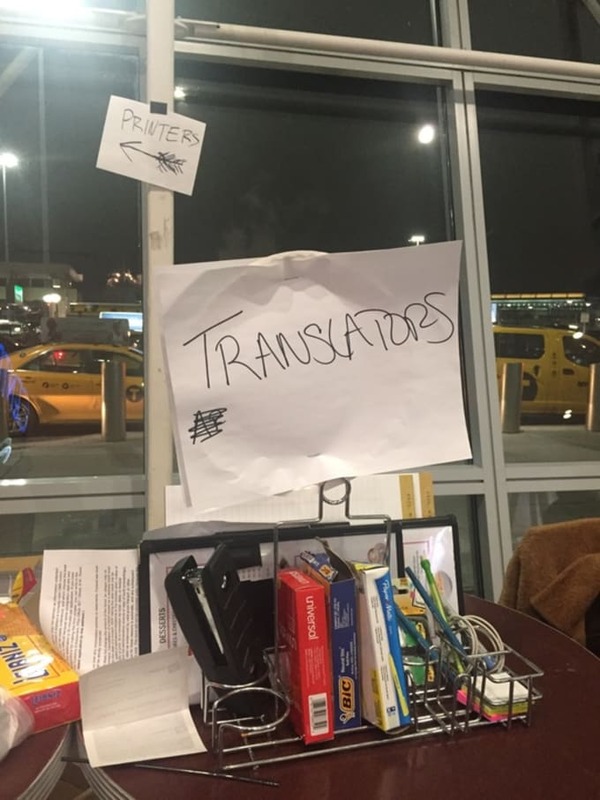 I was eventually assigned to terminal 8—where a number of international flights were arriving— and headed over with attorneys and other translators. 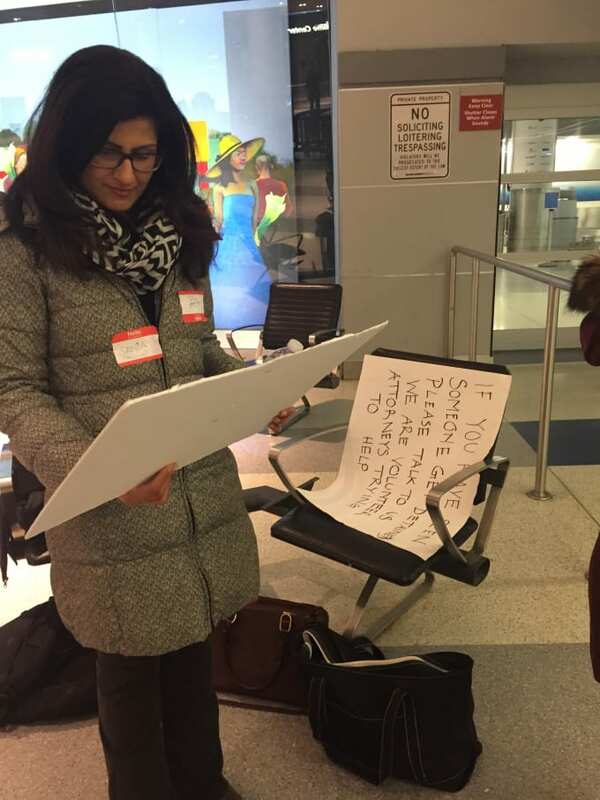 Here is an Urdu translator admiring her sign. We stood at terminal 8, holding signs and looking passengers in the eye as they passed. We watched their body language to check if they were scared and in need of assistance. Some ignored us, some laughed as they walked by, and others walked up to thank us for our service. Between greeting passengers, our volunteer group had discussions like old college friends. We talked about our families, how we meet our partners, seeing Sleep No More, our weekend plans, and hopes for the future. Here I am holding my Farsi language sign with fellow volunteers. It even looks like I&apos;m having fun—and I was. In the darkness of Trump&apos;s first weeks in office, going to JFK and putting my energy into something tangible and helpful gave me hope. There are still volunteers needed to offer continuous effort and support. If you&apos;d like to get involved, check out nobanusa.com.